Under-five Mortality Rate (2015): 13 deaths per 1,000 live births (ranked 120 of 193). Source: UNICEF SOWC Report, 2016. Human Development Index (HDI) (2014): 0.756 (ranked 74 of 188). Source: UNDP, Human Development Report, 2015. In the late 1940’s ChildFund came to Mexico to work with low income children, and became fully established as an organisation in 1973. The organisation consolidated as a legal entity and formed Fondo para Niños de Mexico, ChildFund Mexico. During the 1980’s our local partners, most of them community-based organisations, were recognized as either a Civil Association or a Private Assistance Institution, all of them led by parents of enrolled children. With more than 41 years of experience working in Mexico, we are leveraging best practices in order to reach our core intent and improve the quality of life for the 32,000 children we serve. We are committed to making change possible and breaking the vicious cycle of poverty by working in association with the Government, Local Partners, communities, and other stakeholders and development actors. Promotes developmental stimulation in language, motor and sensory skills, and cognitive and socio-emotional advancement. Equipping children with analytical, problem solving and decision-making skills. Technology literacy: Through a fresh and progressive teaching model, children and youth acquire new skills in literacy, critical thinking and teamwork. “Reading to transform” programme: Develops cognitive skills to help alleviate problems caused by educational gaps. Productive projects: Promote self-employment initiatives through specific training to equip youth to fit in, in their communities, and generate income. Sexual and Reproductive Health: Through a friendly approach, help youth fully exercise their sexual rights in a safe and responsible manner. Nutrition Programme: Encourages vulnerable children and their families to maintain a healthy diet in order to avoid malnutrition and its associated health problems. Child Protection: Protects children from physical and mental violence, abuse, and exploitation, especially sexual abuse. During FY15, 57 community promoters, from 19 LPs serving in 136 communities, were trained in ECD. This training is strengthening the capacity of parents and caregivers in the communities where we work. This effort is also advancing infants’ physical, psychomotor, cognitive and socioemotional development. Through our Early Childhood Development project, we work with mothers, fathers and caregivers to strengthen the emotional bond between themselves and their children, from pregnancy until the child is 5 years old. Five thousand (5,000) infants have participated in this project, generating healthy and positive relationships that help them develop and maximize their skills and abilities. The families have identified the causes of physical and/or emotional violence and try to avoid the exposure of infants to these situations, so they don’t experience toxic stress, and limitations in learning, behaviour and health throughout life. Additionally, we promote productive projects for the families, enabling them to generate extra income to reduce their economic hardship and meet their children’s basic needs. With the Nutrition Programme Local Partners are trained in nutritional diagnosis that consists in: basic anthropometry (weight, height, arm circumference, head circumference), determination of haemoglobin, proper nutrition for pregnant women and children under 5 years old, food laws, activation and physical activities. Provide nutritional supplements (micronutrients), in case of malnutrition. Referral of children with severe or moderate malnutrition and obesity to specialized medical care. In FY15, 19 Local Partners were equipped with HemoCues to measure the nutritional status of affiliated children. This equipment allows the determination of haemoglobin in infants, children and young people with signs and symptoms of anaemia. This effective detection allows a quick intervention and the referral of children to medical centres, as in most cases there are no health care centres in rural areas. Promotion of exclusive breastfeeding until 6 months of age, although it is recommended to prolong it until the infant is 2 years old. Advice on complementary feeding and weaning, i.e., the introduction of foods other than breast milk. Through Skills Development (Andares), we promote psychological, social and analytical abilities, as well as critical and creative thinking. The goal is to change the traditional method of formal education into a learning experience based on exploration and the curiosity of children. We encourage 5,000 children each year to take leadership for their own learning, so they are able to apply their knowledge and make thoughtful and well informed decisions. Thanks to the Reading to Transform project, more than 6,000 boys and girls have increased their life skills, such as socialization, participation, teamwork, respect and tolerance. This project allows boys and girls to develop their capacity to listen and reading comprehension, through a facilitator reading out loud and asking questions about the shared texts. This project is reinforced with recreational activities that stimulate creativity. Also, t children can take a book home so parents can engage in reading and spending quality time with their children, through mutual exchange of knowledge. Technology literacy: During more than nine years nearly 11,000 young people have participated in the project “Intel-Aprender” in rural and semi-urban communities, where generally children don’t have access to computers or the Internet. This project aims to diminish the digital gap among the most vulnerable population in the country, through building skills in technology, critical thinking, and problem solving and improving the ability to gather, organise and share information. Schools are organised in multi-grade classes, which means that children of different ages and different grades are together in the same classroom. In a number of cases, teachers living in the distant communities where we work don’t have a professional degree, but rather complete a one month official course after finishing high school to become a teacher. This inadequate training and preparation leads to poor quality education for children, causing them to lag behind, and develop serious deficiencies in their academic performance. Youth leadership: Through this project, young people participate in different modules that focus on human development and the environment. These modules help strengthen their self-esteem, self-confidence and leadership skills. They also help develop positive sexual and reproductive health behaviours, fostering their capacity to make decisions using relevant information and knowledge, and to become responsible consumers and change agents. Aflatoun’s support allows for the inclusion of a module on social and/or financial entrepreneurship that encourages young people to develop a project with the purpose of generating income and benefitting their families and communities. Online High School: Through an alliance with Fonabec A.C., we have been working for two and a half years with 100 young people from rural communities, using an online platform that allows them to successfully complete their high school studies. The objective is to promote and consolidate an online educational model that can provide a solution to the lack of space and educational resources so that young people from marginalized and vulnerable communities are able to carry out their high school studies. A human development and entrepreneurship programme complements this model. On May 2015, ChildFund Mexico became an active member of the National Front for the Rights of Children and Youth, which is a national coalition of more than 40 organisations dedicated to the observance, participation and defence of the rights of children and youth. This national coalition is putting the spotlight on the new General Law for Children and Youth Rights, to ensure that the budget and implementation are efficient and productive at the national level. An 18 year old teenager, Juvencio García Hernández, affiliated at the Niños Totonacos Local Partner, participated in the second encounter “Youth Movement against Climate Change,” organised by the Senator’s Chamber from June 22-26. ChildFund Mexico participated in the Action/2015 Global Movement events at the local level. ChildFund Mexico continued its advocacy efforts to maintain the violence against children targets in the Post-2015 Agenda, through participating in meetings and working groups at the Ministry of Foreign Affairs, as well as collaborating with other Mexican NGOs that are following and intervening in the Sustainable Development Goals and Financing for Development negotiations. Among the different child protection indicators measured in ChildFund Mexico’s M&E System – domestic exploitation, verbal and physical abuse, parental negligence – the biggest challenge is domestic exploitation. Since 2013, the results of this indicator increased from 5 percent to 9 percent of children that report working in their households and outside of their homes. The challenge is strengthening ChildFund Mexico’s protection programme, Growing without Violence, specifically in the area that touches the issue of child labour. The second challenge, and probably the biggest, is exploring the different child protection mechanisms operating in the territory and keeping up local advocacy efforts to strengthen them and ensure they are working efficiently and towards the wellbeing of children. In alliance with the Juconi Foundation, the contents of the protection project for children, parents and teachers have been revised, in order to address the prevention of bullying in schools and recommendations for caregivers. The Growing without Violence programme aims to create safe environments and relationships for infants, children and youth, as well as for their families, to enable them to reach their full potential. Life stage 1: Workshops with parents and caregivers. Life stage 3: Workshops with young people on couples’ relationships and courtship. When cases of violation of the rights of children are identified, ChildFund Mexico and its Local Partner design an intervention plan that includes referral to specialized institutions for the care of children and youth. The lack of a clean water supply in many communities in the Northern Sierra puts families’ health at risk, especially children. 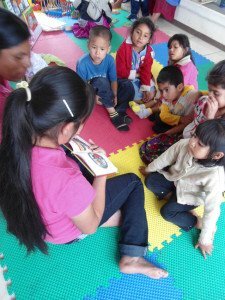 Studies undertaken by ChildFund Mexico during the development of the Area Strategic Plan (ASP), found that 12 percent of children under five (5) had suffered from diarrhoea during the previous two weeks in this region. It is important to note that these figures relate to the dry season, when cases of diarrhoea are considerably lower than during the rainy season. 44% of the children showed some degree of malnutrition which could potentially be a result of regular bouts of diarrhoea. Through the project “Clean water, access to sanitation, the keys to healthier lives,” 4,335 residents have benefited from the construction of 12 ferrocement tanks with a capacity to carry 45,000 and 50,000 litres of water in 12 communities in Cuetzalan del Progreso and Tuzamapan de Galeana, both in the state of Puebla. Training workshops and technical assistance were provided to the committees for the socialization, appropriation and commitment of the communities towards water care, with the purpose of reinforcing the idea that, through organisation, it is possible to contribute to the common wellbeing. Moreover, through community promoters, awareness campaigns were conducted in 42 communities on topics including conservation, domestic use of water and personal hygiene, with the goal of reducing the incidence of digestive diseases in children, allowing families to live in homes with hygienic conditions that are favourable to the development of infants, children and young people. ChildFund Mexico develops projects to improve food availability in communities, especially for families that do not have resources to access a complete nutritional diet for the entire family. In a “Greenhouse or Garden School,” families are trained in preparing the land and making their own fertilizers so they can create a backyard garden. They also learn about seed management and how to obtain a successful harvest. At the same time, cooking workshops are offered so parents can learn how to use what they harvest to provide a nutritional diet. In the State of México, communities have built 17 greenhouses and 130 families are trained to produce vegetables for their own consumption. 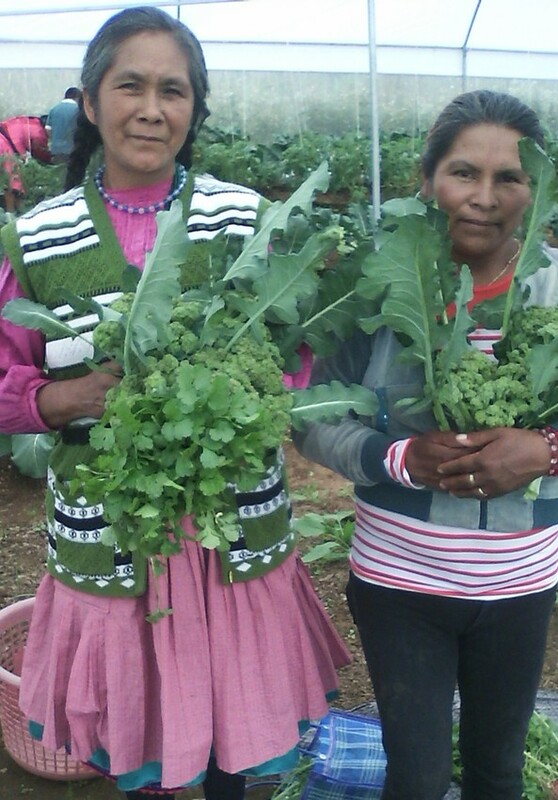 In a project financed by Herdez, in Chiapas, 80 orchards are benefiting 80 families. According to the 2012 report on children and poverty published by the National Council for Social Development Policy Evaluation (CONEVAL) and UNICEF Mexico, it was estimated that almost half the population in Mexico (53.3 million people) live under the poverty line, 11.5 million of which are in extreme poverty. The population under 18 years in poverty stands at 53.8 percent, 12.1 percent of which live in extreme poverty. That percentage is higher than the percentage of the 18 to 64 age group living in poverty, which reached 40.7 percent in the same year. The data shows that infants, children and youth are more vulnerable to poverty than adults; therefore working with this group should continue to be a priority. CONEVAL estimates that the indigenous population living in poverty conditions represents 72.3 percent, with 30.6 percent living in extreme poverty. In terms of indigenous children, 93.5 percent have one or more social deprivation, while 55.4 percent have three or more social deprivations. Further, 80.8 percent of the indigenous children live in households with an income below the poverty line. A challenge for ChildFund Mexico is to work in more indigenous communities while strengthening the capacities of the LPs that work in these areas. We estimate that approximately 55% of the enrolled children belong to an indigenous group. The challenge for ChildFund Mexico is to increase the number of enrolled children that belong to an indigenous group either by enrolling more children through the LPs that work in these areas or find new LPs that enable ChildFund Mexico to move towards indigenous communities. People living in rural communities have lower income and less access to services than people in urban areas. Except for the state of Guerrero, the second state with higher percentage of population under 17 years living in poverty, ChildFund Mexico works in seven (7) of the most vulnerable states, accounting for almost half of the population living in poverty. ChildFund Mexico should continue working predominantly in these states’ rural areas and consider the possibility of entering Guerrero in the next Country Strategic Plan (CSP). Health: One third of the children in the country don’t have access to health care services. The state of Puebla holds the highest percentage, with half of the children lacking this service. This makes Infants, Children and Youth (ICY) in the state more vulnerable to health issues. ChildFund Mexico’s focus through its LPs is building alliances with the health and social security institutions to ensure the service for the affiliated children and in some instances having doctors that can deliver the service within their organisations. Nutrition: A little over 80 percent (i.e., 80.8%) of the rural households in the country have some level of food insecurity but ChildFund Mexico has implemented the Integral Nutrition Programme with good results. 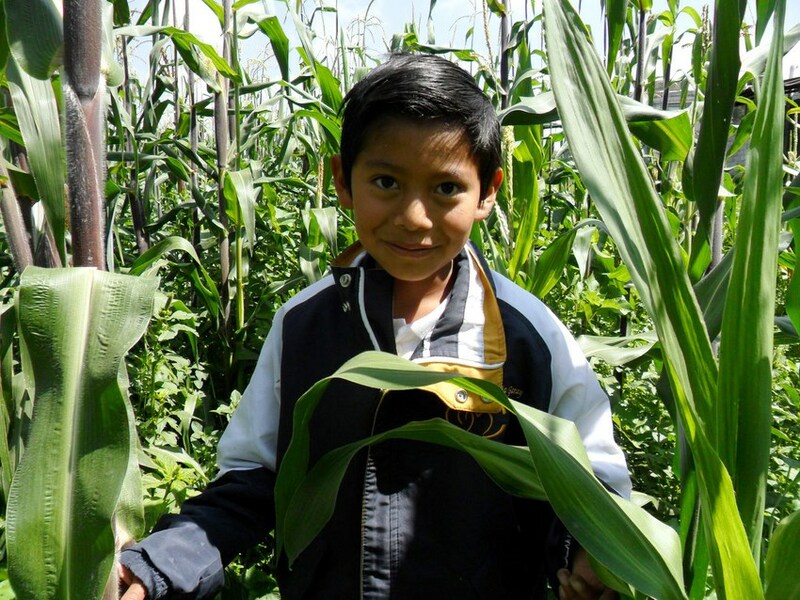 The data at the national level shows ChildFund Mexico should strengthen the programme, particularly in the components of family orchards, backyard farms and nutritional orientation. The results from ChildFund Mexico’s M&E system show that our interventions are advancing in the right direction, i.e., all three malnutrition statuses (mild, moderate and severe) have consistently decreased in the last two years. The challenge for ChildFund Mexico and its LPS is to reduce the percentage of enrolled ICY with overweight and obesity that have shown an increase in the last three years. 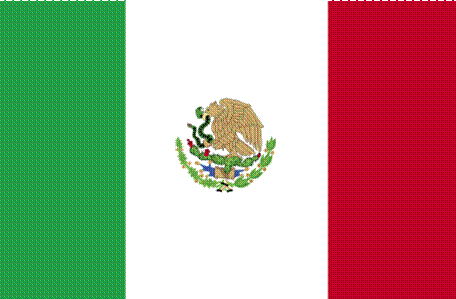 Sexual and reproductive health: Mexico has the highest number of teenage pregnancies among the countries in the Organisation for Economic Co-operation and Development. In 2014, ChildFund Mexico started tracking pregnancies among girls 15-24 that participate in our programmes. During the first year, 294 pregnant young women (under 24 years old) were registered, of which 77 percent were 17 years old and under. In 2015, 197 pregnant young women were registered, 52 percent of them were 17 years old or under. These results indicate that one of the biggest challenges for ChildFund Mexico is to strengthen and expand the sexual and reproductive health projects among youth. Education: Among the states where ChildFund Mexico works, Chiapas, Oaxaca, Michoacán and Veracruz have the lowest percentage of youth 16 years and older completing middle school; therefore, we must focus on decreasing the number of out-of-school youth. Andares, one of our education programmes, has demonstrated results by encouraging children to continue in school by helping them develop the life skills they need. ChildFund Mexico could expand the implementation of this programme in these four states. The national level data shows that school dropout increases significantly from middle school to high school. SEDIP (ChildFund Mexico’s Monitoring and Evaluation (M&E) System) results indicate a similar tendency among the youth participating in Mexico’s programmes. This represents a challenge that can involve at least two big alternative approaches. The first would be to strengthen the Andares project as a strategy to reduce school dropout. The second approach would be to provide opportunities for on-line high school and/or technical or business training programmes, which require the National Office and LPs having alliances among key stakeholders in the field. María Elena has been enrolled with ChildFund Mexico’s “Niños Totonacos” Local Partner since May 1993, when she was a baby. Twenty years of sponsorship that translates into a special friendship between Maria Elena and Mr Hughs. Through her participation in different programme activities (ECD, nutrition, youth programmes, among others) and with the caring support of Mr. Hughs, Maria Elena has been able to fulfil her big dream of pursuing a career in Biology and is very grateful to her sponsor for his permanent support. Let’s hear her version of this great story of friendship! “When I was going through elementary school he would always send me letters to cheer me and it was a very nice experience in this stage of my life, I also remember that one day for the “Día del Niño” (“Child Day”) he sent me a big teddy bear I loved very much. Later he sent even more gifts (DFCs – designated for children or gifts for children), for my birthday and Christmas, which we used to buy clothes, shoes and pantry items to share with my family. Despite the distance, he never forgot us and in his letters always asked about my family, and how I was doing in school, and it was very exciting for me because though we had never met, it felt great to have somebody showing such interest in me. When I started high school, we kept exchanging a lot of letters and he started to ask me about my future plans. At that time, he told me that he was going to keep on sponsoring me for as long as I was engaged in the LP’s activities and in my studies, as far as I wanted to get – and that excited me so much because since I was a little girl, my dream was to have a career, and fortunately with his support I was able to achieve it. He always sent me phrases like “yes, you can!” or “go on!” and that helped me to keep going, because each letter encouraged me to go one step further. My sponsor always motivated me not to give up to the many obstacles I crossed and this is how I fulfilled my dream. I can proudly say I have a degree in Biology and it is the best thing that ever happened in my life. So I appreciate his trust in me and support, without expecting anything in return, and for that I’m really grateful. David has been affiliated with ChildFund Mexico’s HñaHñu Batsi Ri Xudi, A.C. Local Partner since 2004. His mother, Cristina, decided to enrol him at the age of 5 years, and 2 years after he was enrolled, Mr. & Mrs. Mechthild were assigned as his sponsors. David’s sponsors started writing letters to him after a year of sponsorship and to this date they have maintained regular contact through birthdays and Christmas greeting cards, and DFCs (designated for children, i.e., gifts for children. A year ago, they started becoming even more interested in David’s school situation, as they wanted to know what his future plans for continuing his studies were and whether he would be able to pursue an education, as well as if this would have an impact on him remaining enrolled with the Local Partner organisation. At that time, David shared that he was thinking about pursuing a career and was interested in staying affiliated. Since then, the sponsors have shared their desire to help David achieve his plans, and recently started supporting him financially to make sure that his family has the resources to allow him to continue his studies. They send him a DFC (special gift) to contribute to his expenses to going to high school, which he will complete in 2016. This will also help his siblings, Sandra, Edith and Alex Jacinto, to cover their educational costs, as some of them also go to high school or the local university. Mr. and Mrs. Mechthild already confirmed that their support will extend throughout the years until David concludes his studies for the career he wishes to pursue.